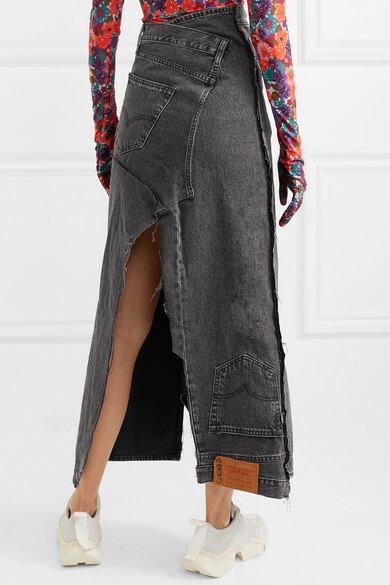 Vetements is coveted for its unique proportions and deconstructed take on otherwise classic designs, like this skirt. 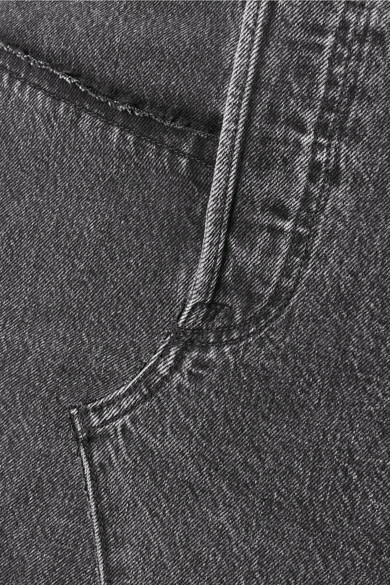 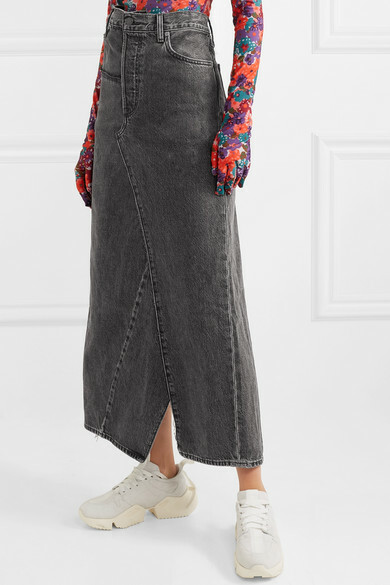 Made from vintage pairs of Levi's® 501 jeans that are spliced together for a cool, patchwork effect, it sits high on the waist and has a dramatic fraying split at the back. 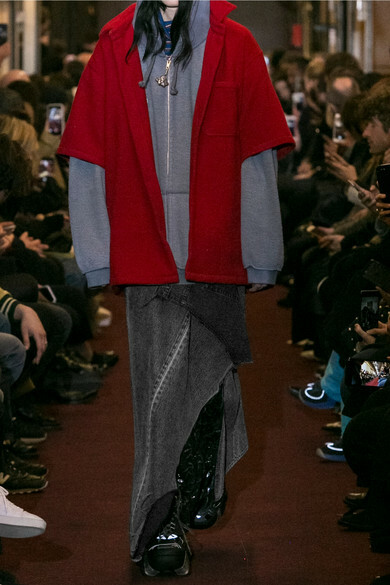 Wear yours with an oversized hoodie and sneakers, as styled on the Fall '18 runway. 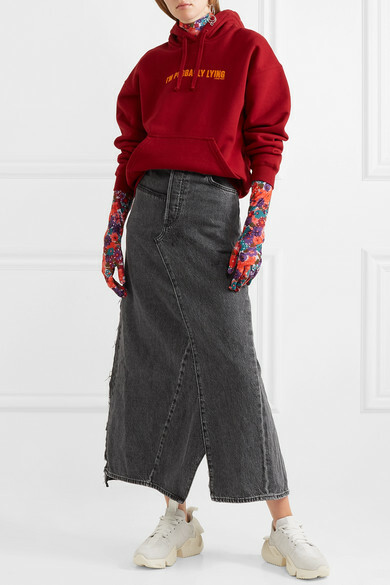 Shown here with: Vetements Dress, Vetements Hoodie, Unravel Project Sneakers, Jennifer Fisher Earrings.